It’s been a wonderfully social few weeks for me, with Evanston Made being a key theme. 1100 Florence hosted the very first Evanston Made Member mixer, which gave us an overview of membership and allowed us to network amongst ourselves. 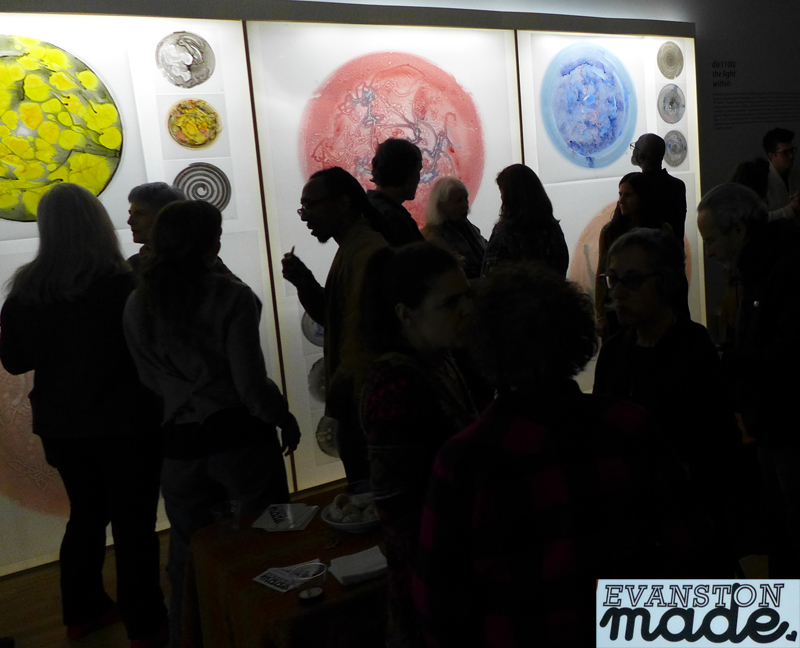 I met new-to-me artists and also interacted with those I had met at prior Evanston Made events. 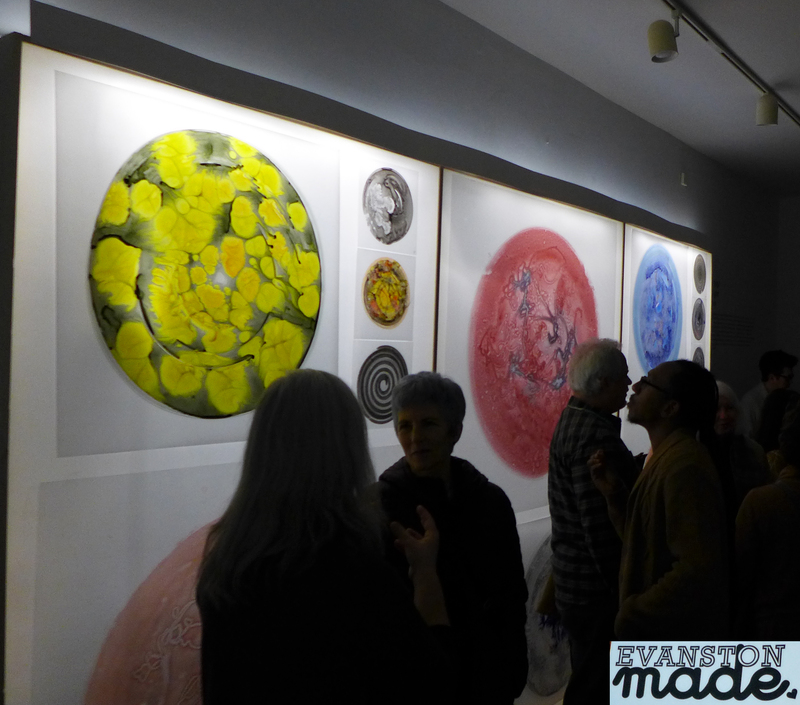 What was nice that aside from the exhibiting artists we were all there to mingle with each other, rather than keep an eye on our art pieces to see if someone was a potential customer. The June events tend to be more focused on garnering an income than us artists just mixing among ourselves. 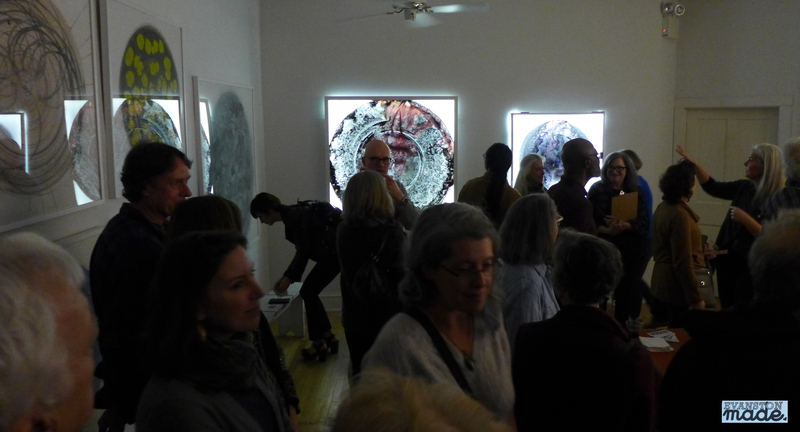 Against the backdrop of The Light Within: new works by Darren Oberto, we nibbled on snacks and sipped on wine. 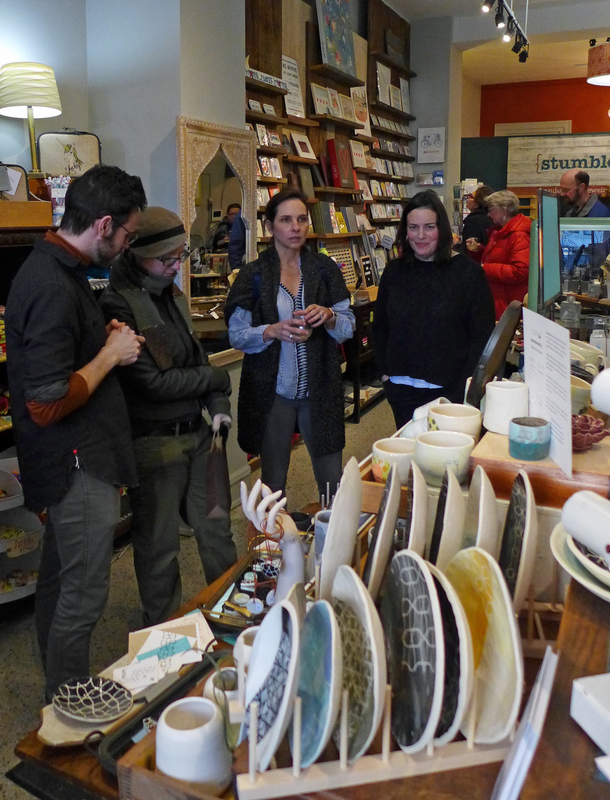 Founder Lisa Degliatoni explained her vision for going to a one-time event to a non-profit organization catering to Evanston-based artists year-round. 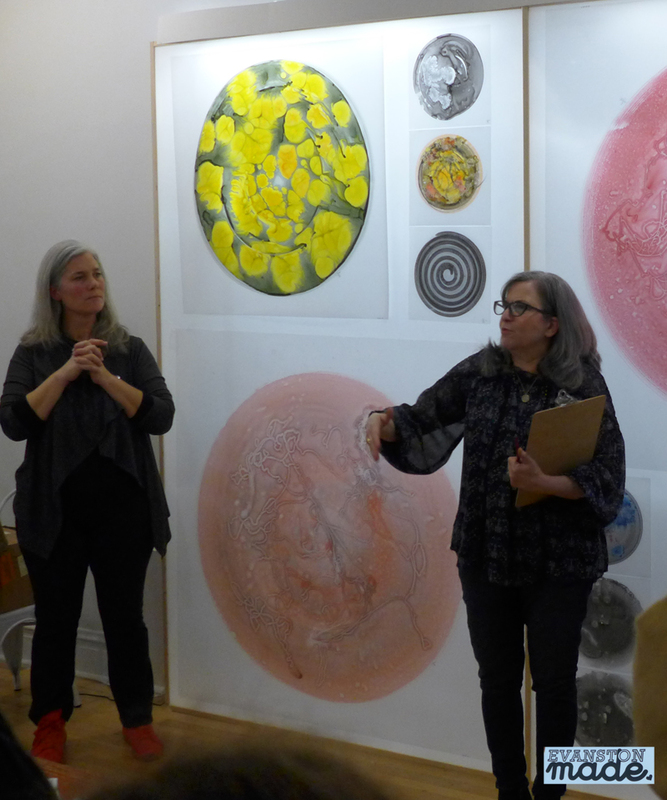 Board member Kathy Halper discussed upcoming events in the works to help artists be connected to buyers and get more of our art in Evanstonians’ homes and businesses. Evanston Made members will be part of rotating member nights to engage with each other, foster collaboration, and become better friends. Business owners are invited to become partners, so that brick and mortar places like Backlot coffee can solicit art work from our roster of members as they seek to decorate their venues. For more about Evanston Made Membership, click here. To view my profile, click here. 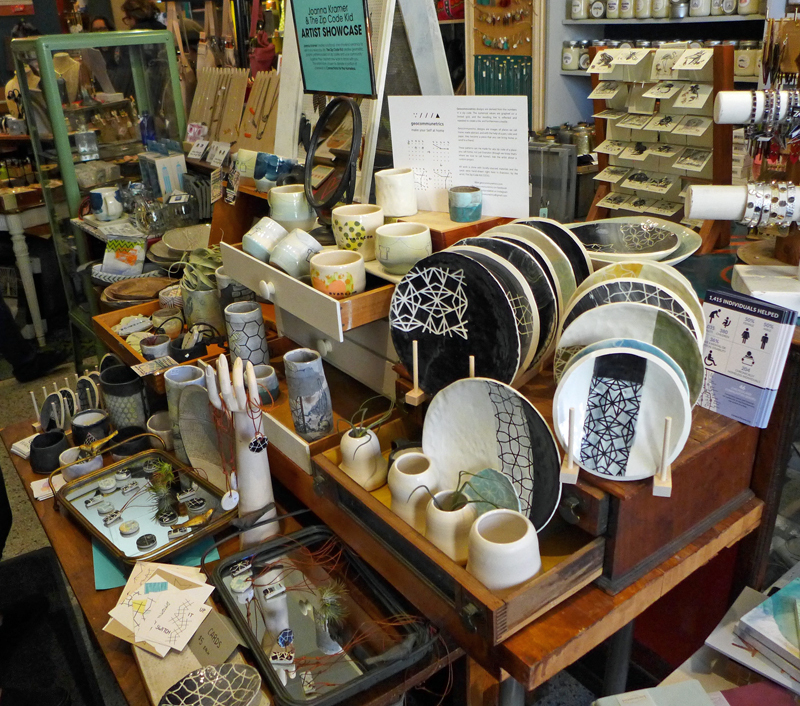 This past weekend I visited Stumble & Relish to peruse and pick out a collaboration of Jason Brown (Geocommunetrics) and Joanna Kramer. Together, they made porcelain shapes of plates, vases and pendants, and then glazed these. 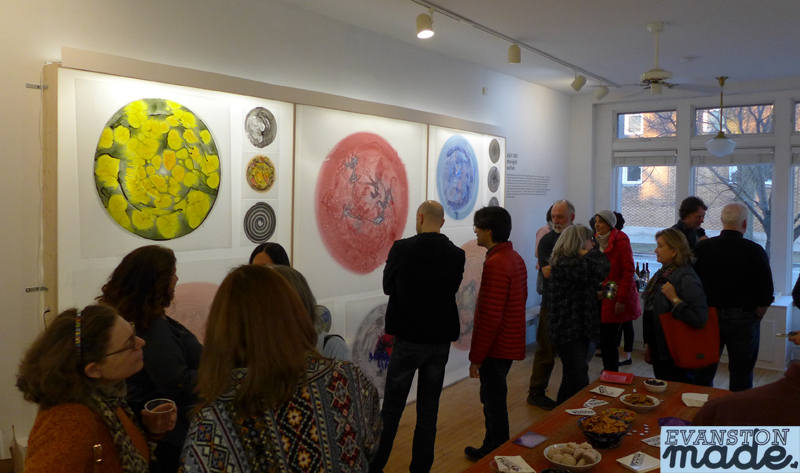 The glaze was then overlayed with Jason’s geometric depictions of the 60201, 60202, and 60203 Evanston zip codes. It was lovely to see these beautiful works of art, and I hope to expand my budget so I can add to the collection in the future. 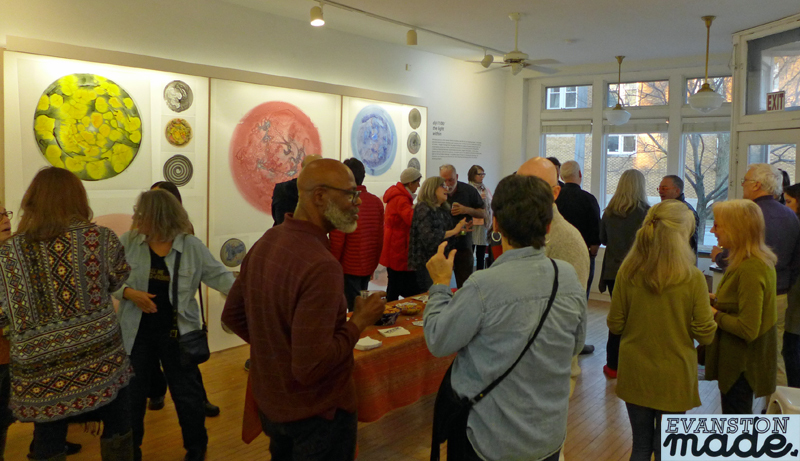 This entry was posted in Art & Culture and tagged Evanston Artists, Evanston Made, Evanston Made Membership, Evanston Made Mixe, Evanston Made nonprofit organization, EvanstonMade, Mingling with Evanston Artists.